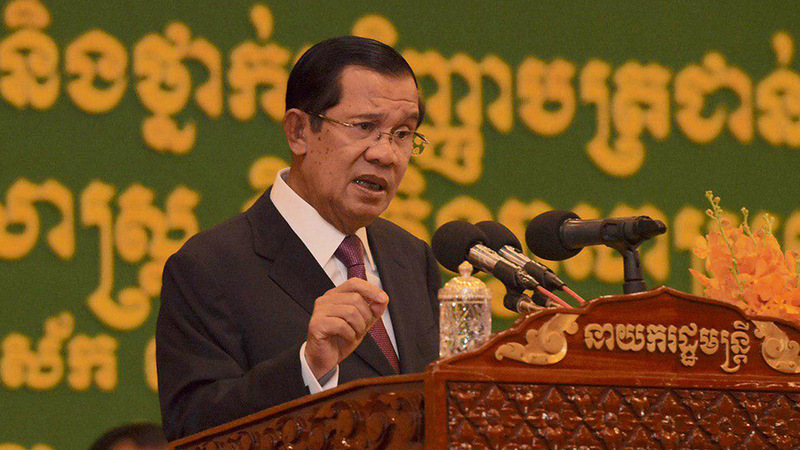 I have read the Phnom Penh Post after my screening news on social media […] three analysts made their cases on the matter – Sok Sam Oeun, Ou Virak, and Academician Sok Touch […] we have abolished this death penalty since the time of the State of Cambodia. 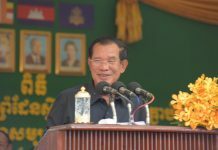 We amended the Constitution of the People’s Republic of Kampuchea to carry no more death sentence and we do not have it now. I think the three analysts have made their points about the thought of penalty reinstitution. Any misjudgment would lead to causing bigger problem when the person on capital punishment turns out to be innocent […] in this second thought I think there is no need to reinstitute death penalty. 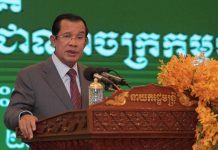 On behalf of the Royal Government, I am calling on our people who have not yet taken parts in census to do so in the three remaining days […] census will provide us what we needed to set out vision for future development of Cambodia. Please allow census enumerators to come to your place and give them requested information. 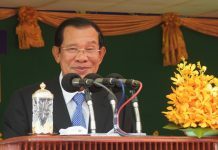 We need a rather exact figure of how much population Cambodia has. We have been using data provided partly from the Ministry of Interior, partly from the Institute of Statistics of the Ministry of Planning, and partly from the Ministry of Health who have kept track of birthrate information […] we have come to a figure sometimes of 15 million and sometimes of 16 million people. We need a more exact figure. Again, I welcome and appreciate progress made by RULE and efforts made by management and professors so far. My congratulations to graduates including also those foreign students coming from Korea, Vietnam, France, China, and UK. We have foreign students studying in many universities in Cambodia. We send our students to study abroad and they come to study in our country too. If our country is not in peace and political stability, we would not be able to upgrade education quality and there would not be foreign students coming to study with us. Let us congratulate our successes […]./.